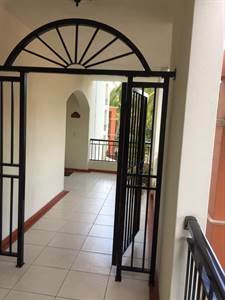 • 125 sqm , 2 bath , 1 bdrm 2 storey – FOR SALE 289000 USD . Spacious 1 bed/ 2 bath condo in quiet Nuevo Vallarta complex. The unit has partial ocean view, mainly overlooking the huge gardens with big,separated kids and adult pools. Beach access is granted through a secure gate. 142.38m2 total = 125.03m2 (1,45.49 SqFt) condo + 1.89m2 storage + 15.46m2 parkingHOA dues include Cable, Electricity, Gas, Gym, Internet, Maid service & Water.